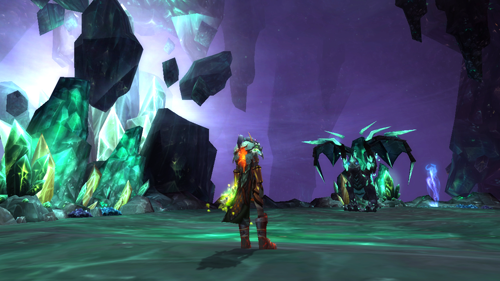 So…the Theramore scenario was kind of a bust. I was planning for that to take up my time up until MoP launched. But that’s not going to happen. I came up with something else to do while I wait the final few days. Plus I can keep doing this once MoP is launched. Although I probably wont do it as often. 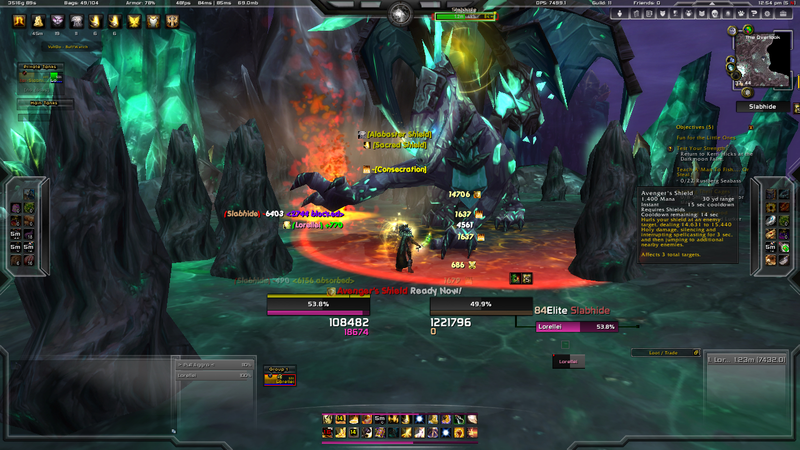 The Reins of the Vitreous Stone Drake drop off of Slabhide, the second boss in The Stonecore instance. It has a 0.9% chance of dropping on either Normal or Heroic Mode. You can solo it on normal if you have a class that can stand up to the damage. I’m using my Prot Paladin. Better geared players may be able to solo this on heroic. I’m not that good. This town’s not big enough for the both of us! Kill the Earthshaper first. Interrupt him when you can. Engage Millhouse Manastorm second. Interrupt him too. He’ll run away after a while. Kill the rest in any order, when one starts spinning, back away to avoid the extra damage. 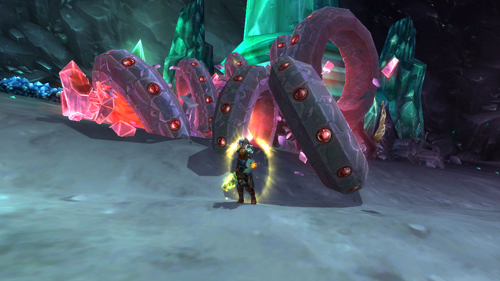 Corborus is a gigantic gyreworm. You can skip him if you like by sneaking past him to the left and into the tunnel that he burst out of, or you can kill him. He’s pretty easy to kill. It just takes a while for a single prot paladin to accomplish. The giants in the tunnel patrol around and can be skipped if you’re patient, or you can kill them. Just remember to jump right before they stomp the ground. 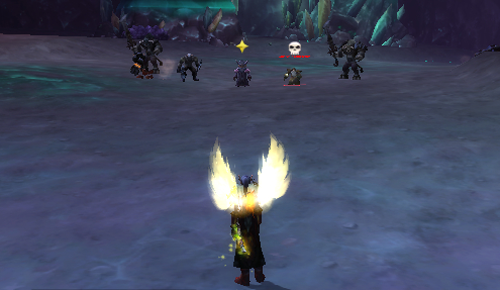 Avoid the smaller mobs if possible, but they can be easily soloed too. My preference is to chug an invisibility potion. Then I can just run through without aggroing anything. Once you’re out of the tunnel run down the ramp to Slabhide’s area avoiding the dark shadows that appear on the ground. Slabhide himself is a pretty easy fight. On normal you just have to stay out of the fire and avoid the dark shadows on the ground where he will drop rock spikes. Heal yourself as needed. Avoid the fire pools on the ground! With such a low drop rate it will take a while to get the reins. I’ve heard of people getting it after only a few tries. I’ve also heard of people farming it for months with no luck. I’ve been running this 1-4 times a day for about a week and I haven’t received it yet. Hopefully it wont take me THAT long. Good luck with the farming. I’m now thinking of where to move onto so that I have two places to farm. UP for the proto-drake and perhaps Sethek Halls next. For teh trash i found killing Millhouse first was better, as the Earthshaper hits like wet towel on a DK with anti-magic bubbles. I tried farming him (on regular) on my mage, but it ended to failure. I might be able to do it once I’m level 90 though…. Yeah you really need a tank, or at least a plate wearer. Thanks for the comments.